One of the best ways that contact lens wearers can protect their vision is to go for regular eye exams to ensure their prescription is still correct, one sector expert has advised. Dr Christine Sindt, chair of the American Optometric Association"s contact lens and cornea section, pointed out that the products are among the safest forms of vision correction when patients follow the proper care and wearing instructions provided by their optician or the manufacturer. However, people who purchase contact lenses without a prescription or consultation with a professional eye doctor put themselves at risk of "bacterial infection" or even permanent eye damage, she warned. 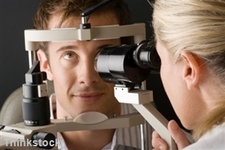 Dr Sindt said that visiting an optician regularly is one of the easiest ways of preventing issues arising. "Comprehensive eye exams can detect any signs of contact-related problems and treat them before they permanently damage eye and vision health," she noted. Recent safety advice was issued by optometrist Dr Teresa Theobald, who told Good Morning Northland that it is vital for people to follow the manufacturer"s instructions when handling or storing contact lenses.